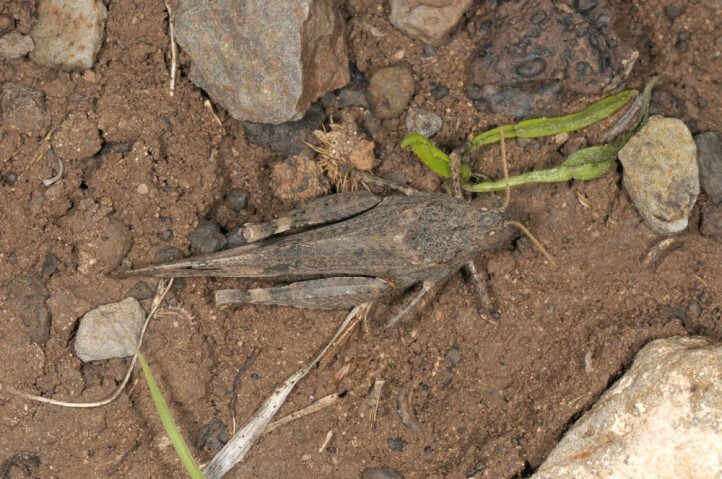 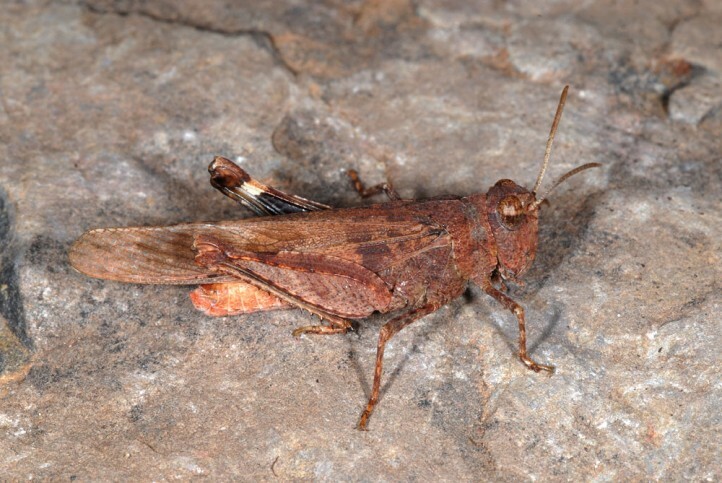 Oedipoda canariensis inhabits rocky slopes, stony grasslands and ravines (barrancos), below 1000m. 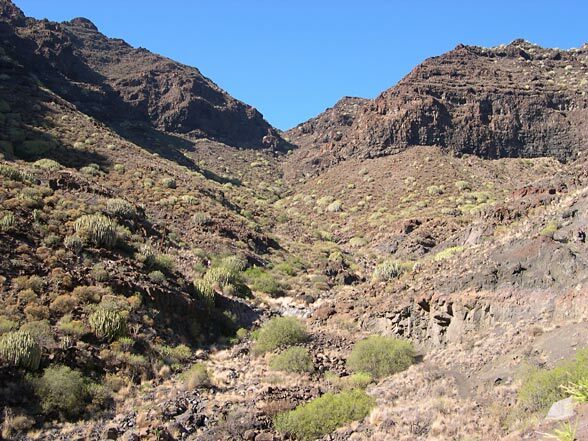 I met adults in Gran Canaria just before Christmas 2007 on a rocky slope at 300m above sea level and at the same time in 2008 in La Gomera in a ravine at 500m above sea level. 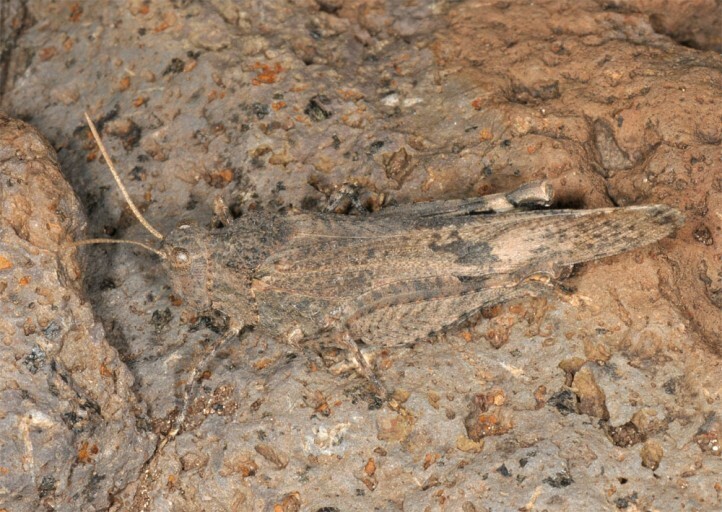 Presumably, they can be found year-round. 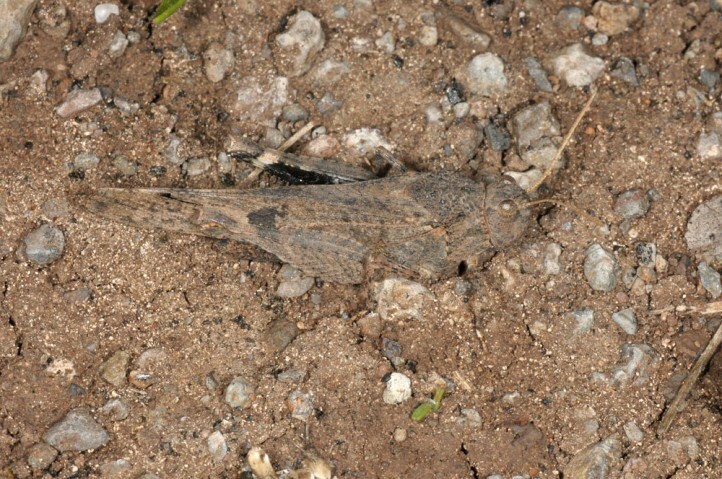 Eggs are laid in the ground. 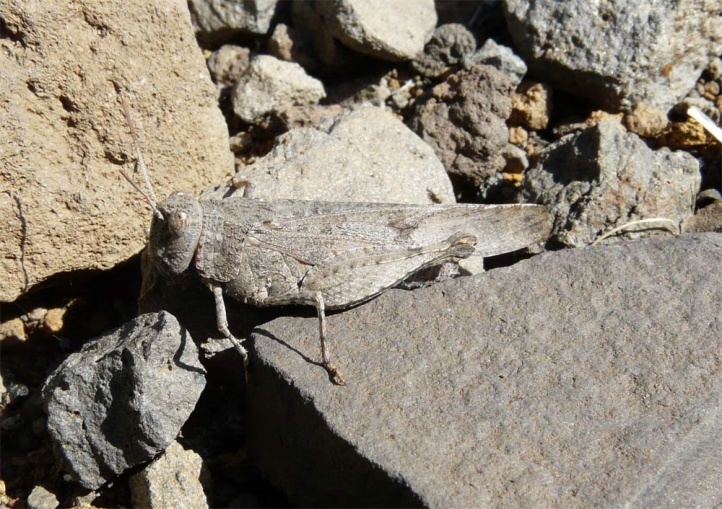 Oedipoda canariensis is endemic to the Canary Islands (e.g. 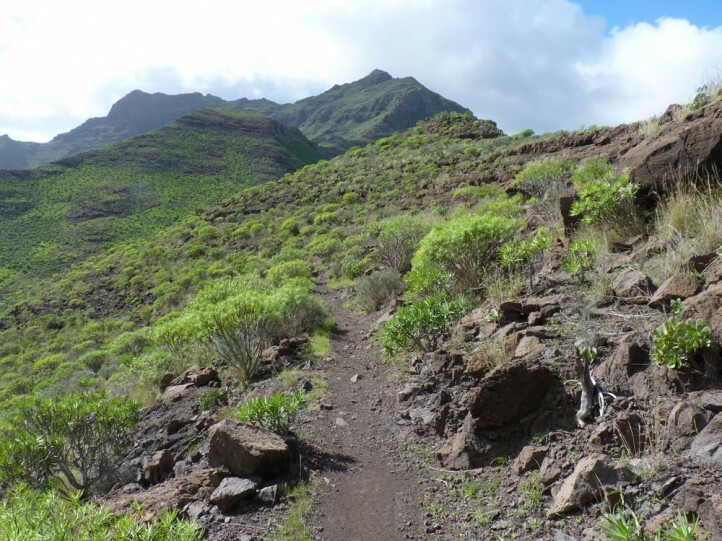 Gran Canaria, Tenerife, La Gomera). 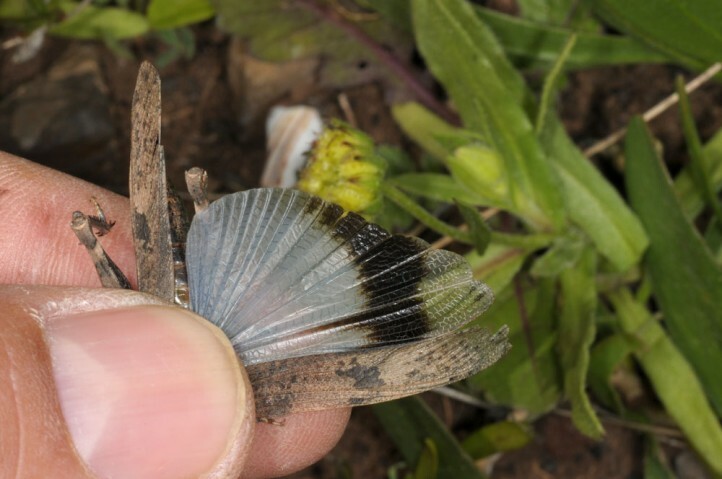 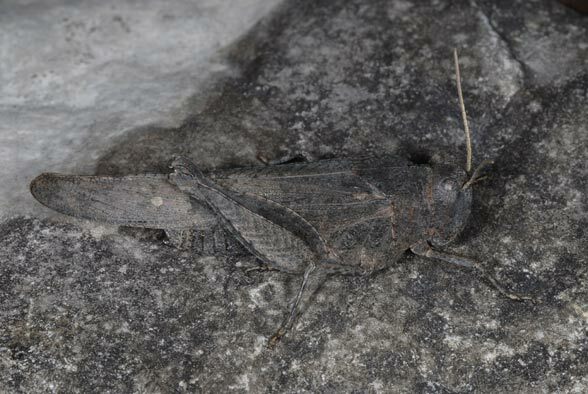 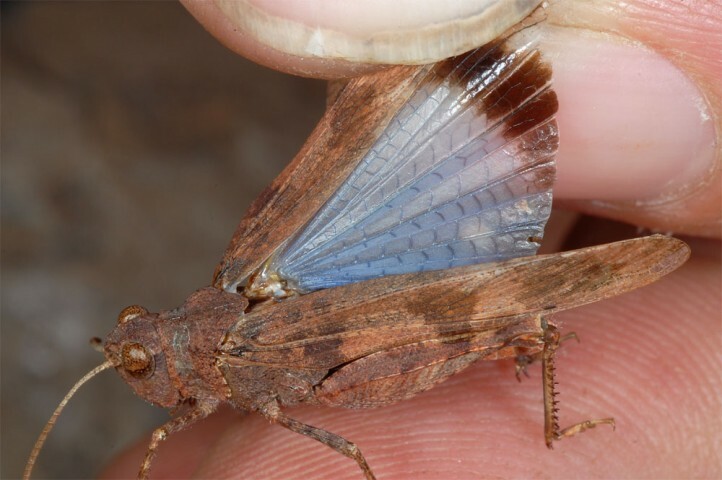 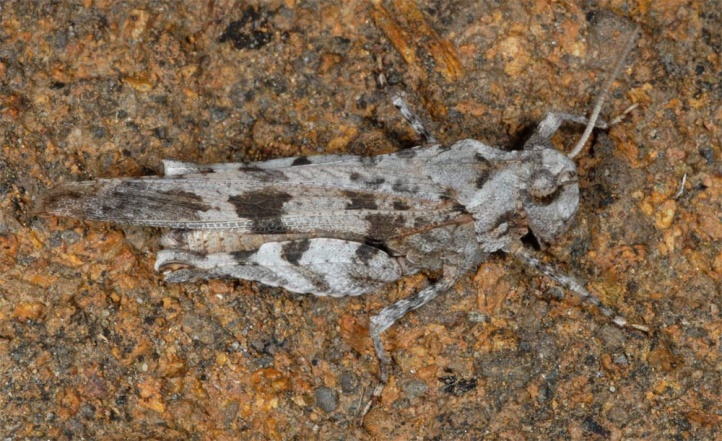 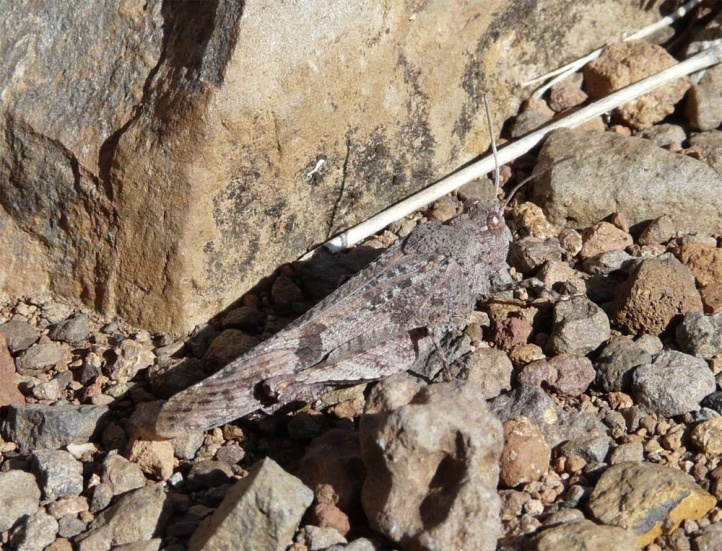 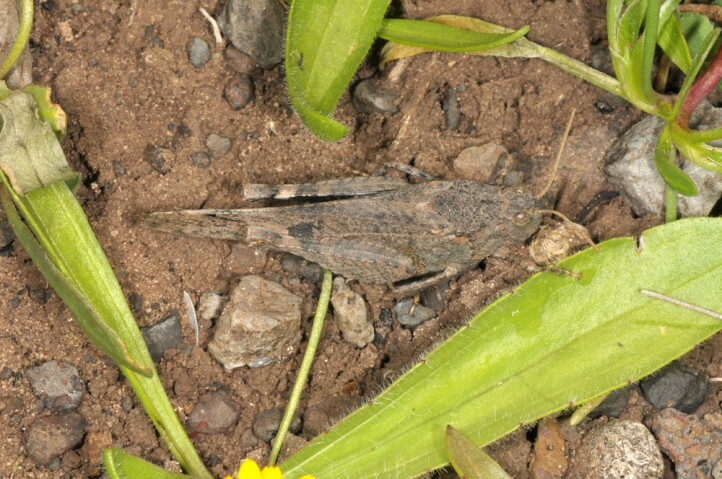 It is very similar Oedipoda caerulescens and also has bluish hindwing.